Moths emerging from silk cocoons. 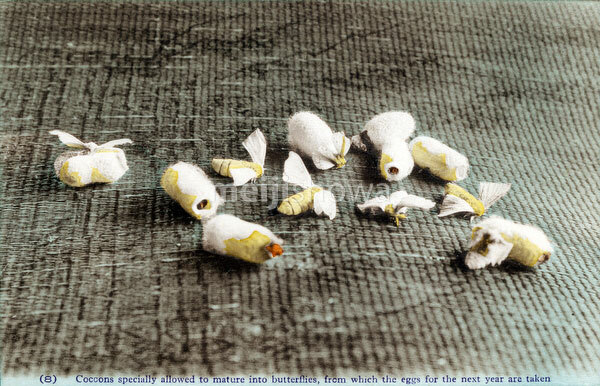 Original text: (8) Cocoons specially allowed to mature into butterflies, from which the eggs for the next year are taken. This postcard is from a series about Japanese silk farming, called The Silk Industry of Japan.